Jessica joined Scudder Law Firm in 2012. 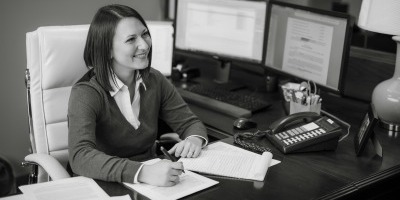 Jessica focuses on mergers and acquisitions, corporate compliance, securities reporting and compliance, securities offerings, business formation, and general corporate matters. Jessica received her J.D. with a concentration in business law, with highest distinction, in 2012 from the University of Nebraska College of Law. While in law school, Jessica served as Research Editor for the Nebraska Law Review. Jessica also received the Best Brief Award, the Guy Cleveland Chambers Award for second highest overall grade point average, and was named to the Order of the Coif. In 2009, Jessica received her B.A., with high distinction, in Spanish and Economics from the University of Nebraska.